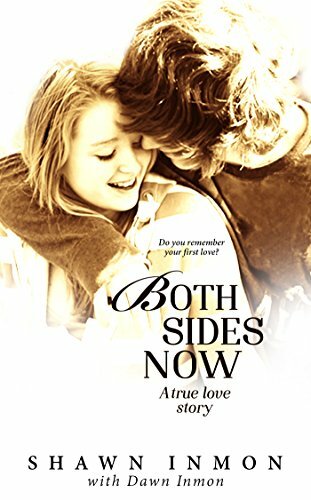 Today’s Featured Kindle Book of the Day is Both Sides Now, by Shawn Inmon, is regularly $4.99 but has been discounted to just 99 cents today in the Amazon Kindle store. This book has received an average user rating of 4.9 out of 5 stars based on 80 customer reviews. Sometimes, your first love lasts. Just as she was flowering into her teens, life uprooted Dawn from the tanned crowds and sunny beaches of southern California. It transplanted her into rainy, rural Washington, where she strove to adjust, mature and thrive. Love came to Dawn–and was ripped from her by events and manipulations she could not control. But Dawn had a core of steel. An emotional castaway, she battled grimly through life’s trials and sorrows, safeguarding her heart against further ravages. Then love reached out to Dawn once more–if she could find the courage and spirit to grab it with both hands, and this time, never let go. Click here or type in http://smarturl.it/kvuc6m into your web browser to pick up your copy of Both Sides Now. father of five, grandfather of five and best pal of two chocolate labs named Hershey and Sadie. You can follow his blog and see more pictures from Feels Like the First Time at ShawnInmon.com. To keep current with his writing, please “Like” his Facebook page: Facebook.com/ShawnInmonwriter. You can visit Shawn’s Amazon author page if you click here or type in http://smarturl.it/inmon into your web browser.